It's a difficult thing to be fully open about one's private life, especially as a public figure. 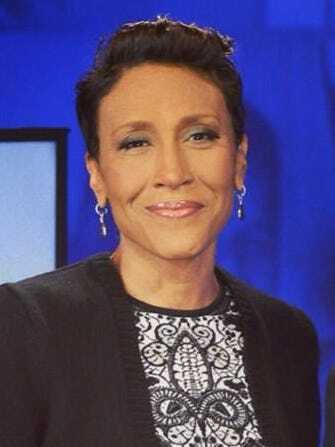 Good Morning America co-host Robin Roberts, however, did just that Sunday when she casually revealed her longtime relationship with girlfriend Amber Laign. To date, Roberts has received over 8,500 messages of support on the Facebook post, in which she reflected on her recovery from a bone marrow transplant that forced her to take a leave of absence from GMA earlier this year. Roberts wrote: "Reading this comforts me and I hope the same for you: 'If you are depressed, you are living in the past. If you are anxious, you are living in the future. If you are at peace, you are living in the present.' At this moment I am at peace and filled with joy and gratitude." To top it off, today Roberts even got a nod of encouragement from FLOTUS herself, Michelle Obama.